After our short deviation from I-10 visiting Southern Prohibition in Hattiesburg, we jumped back on the road and headed down south towards the Gulf Coast. 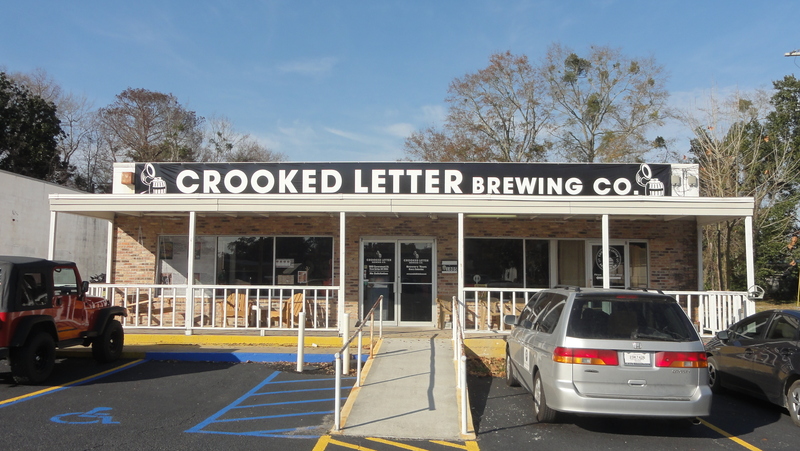 Ocean Springs, MS is just a couple miles east of Biloxi and has served as home to Crooked Letter Brewing Company (get it? 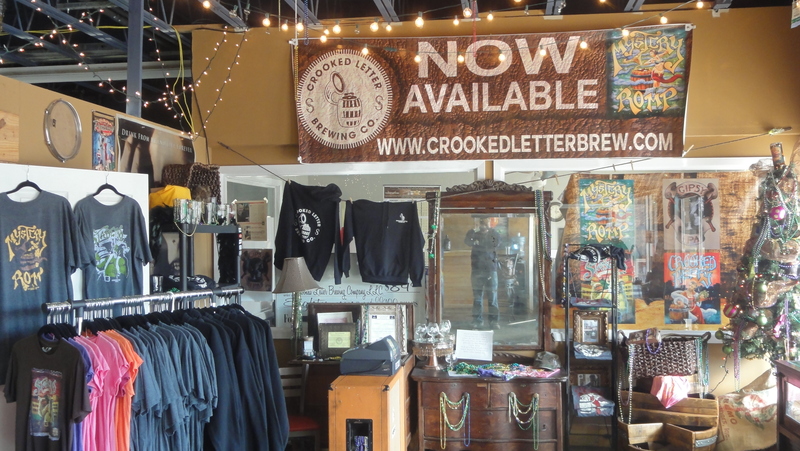 M-I-crooked letter-crook…oh nevermind, apparently some people didn’t get taught to spell that way) since it was opened in November 2012 by Paul and Wanda Blacksmith, who were turned onto homebrewing by their longtime friend, John Meyers. John and Paul have been best friends since they met as kids skateboarding the MS coast and the brewery’s name pays homage a band name, Krookid Ledder Youth, which John came up with about 18 years ago. When Wanda entered the fold, the three played in bands together over the years including most recently as Winterset. After much time away in college and graduate school, John returned to south MS and became their head brewer. Following a couple expansions during their first year, Wanda’s brother, Scott Mitchell was also hired onto the brewing team. Wanda serves as the company’s CEO, co-owner, brewer, and also as Treasurer for the Mississippi Brewers Guild while Paul is co-owner, brewer and handles day to day operations as the General Manager. 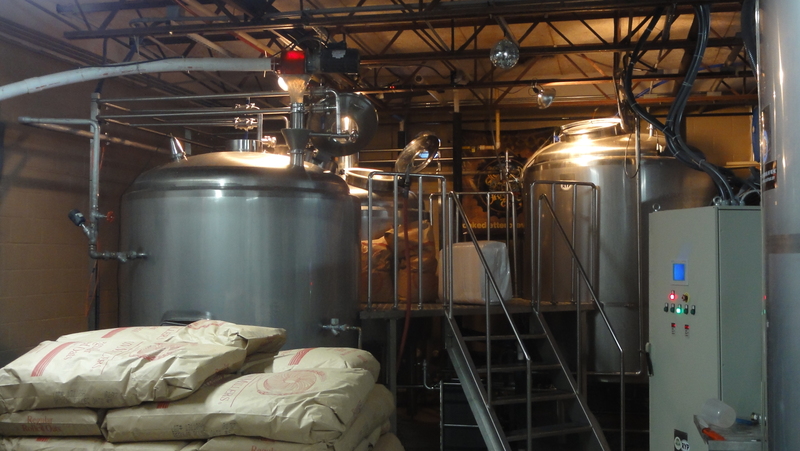 The business plan for the brewery was developed over several years and began even before the State laws were changed to allow higher gravity beers. The original plan was to acquire a special use permit to operate Mississippi’s second brewery off of their own private land with a separate drive way. 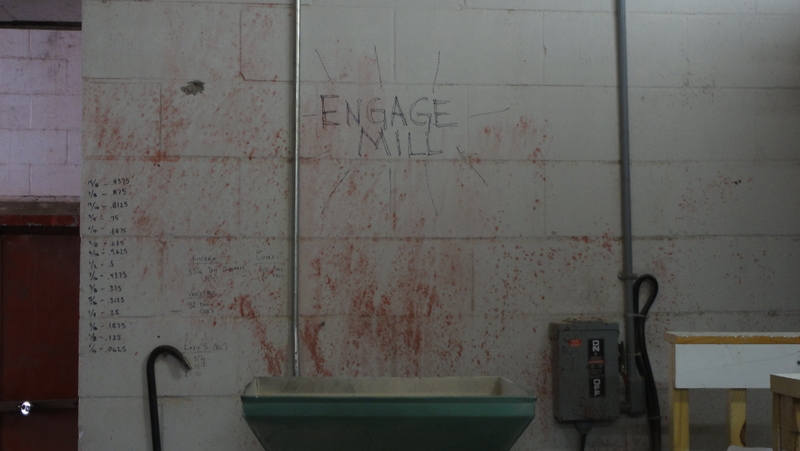 They were met with some opposition from neighbors even though they were well within the legal requirements and were willing to sacrifice profitability by not doing any tours of the brewery. 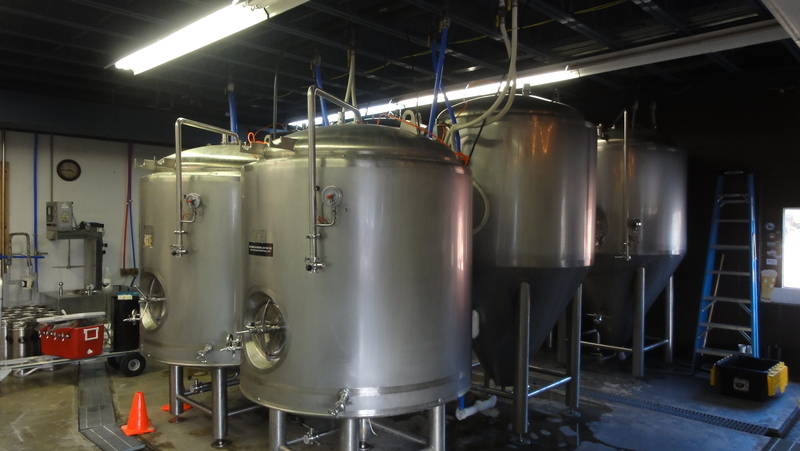 Fortunately, the owner of local Broome’s Grocery recognized the benefits to having a local microbrewery and invited them to utilize the building of a former medical supply company on his property. After months of construction and installation, Crooked Letter began brewing with a 15 bbl brewhouse, 3 fermenters, and 2 bright tanks, though they quickly upgraded throughout the first year to a total of 7 fermenters. Their beers can already be found throughout MS as well as southern LA. $5 tours are offered Tues 5:30-8pm and Sat 1-3pm. While the brewery is family friendly, the state limit of up to six 6 oz samples are available only for those capable of proving their 21+ status. 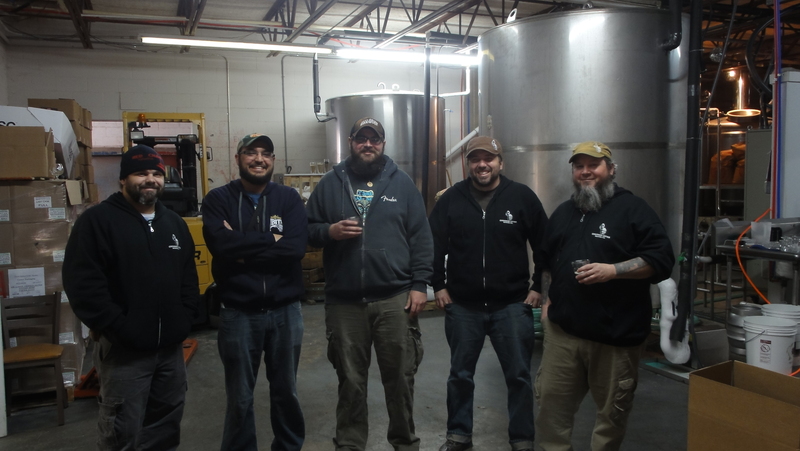 Upon our visit, we were appreciative to speak with both Paul and Scott about the brewery. When they both had other important business to attend to, John returned from his quality assurance visit with a local account and graciously gave us a tour of the facilities, sharing his in-depth technical knowledge of the brewing process. 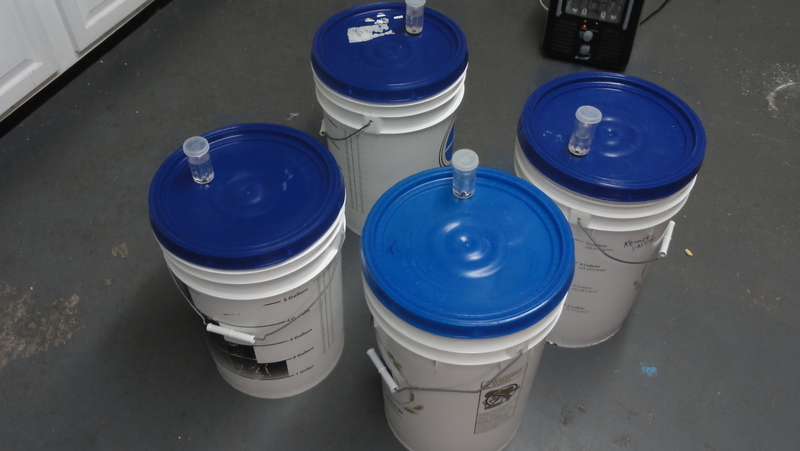 He explained that the local water has a baseline pH of about 9 and needs to be acidified for ideal mashing and sparging pH. In addition, the city adds Chlorine and Chloramine which can cause unwanted tannin extraction so they need to utilize Potassium Metabisulfite to bind the Chloramines and render them inert. Another byproduct is that this addition makes for happy yeast since it frees up Potassium for consumption. John also shared that in the future he hopes to put his scientific knowledge to further use by working on yeast propagation to develop proprietary in house yeast strains for each beer – this, of course, will take time. 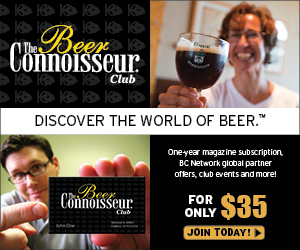 The current repertoire consists of four year-round beers but the brewery plans to add seasonals in the near future. First up is the Crooked Heffy, an American Heffe with the characteristic flavors of banana and clove. Next is a big Italian-style lager, Stabello, that is dry hopped with Saaz and is extremely drinkable at 7%ABV. It is named after an Ogre in Italian folklore that wanders the village after dark looking to cause trouble and, more importantly, for beer. 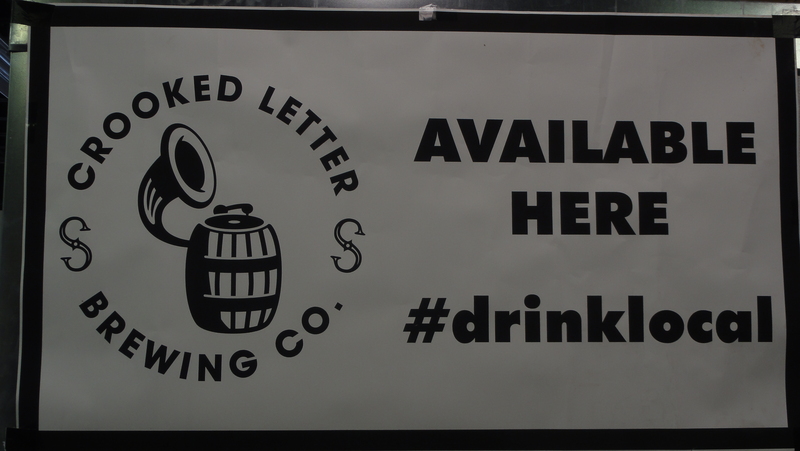 Crooked Letter cuts no corners on this lager and takes the patience to go through the full lagering process. Mystery Romp dances between the porter and stout styles and is perfectly balanced with the addition of chocolate and coffee. Finally, Gipsy IPA boasts a very strong malt backbone that balances out the plentiful bitterness from the hops. The artwork for the IPA is a chalk painting done by James Taylor, an actual Roma gipsy by way of England, and features a Gypsy draft horse pulling a vardo (Romani wagon) filled with musical instruments. 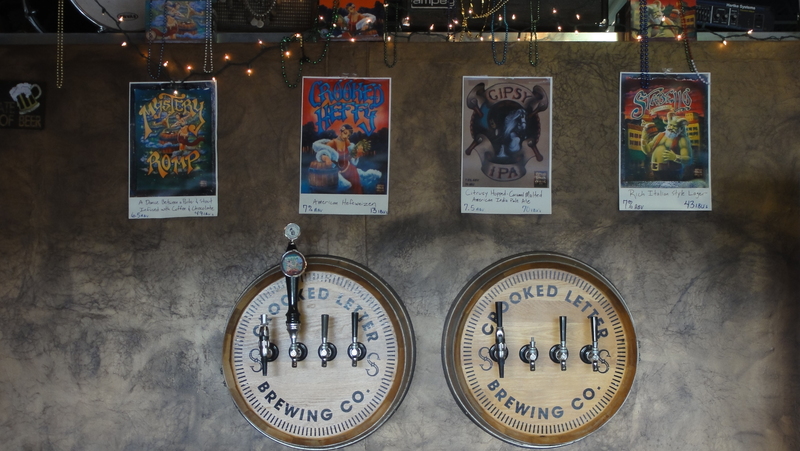 The Crooked Letter team feel it represents their history together and their passion for music and beer is also featured in the company’s logo – a barrel gramophone hybrid. All other artwork was done by Michael Pukac of Fairhope, AL who is now operating as a live artist in Los Angeles. Now on to the exciting news I mentioned previously. 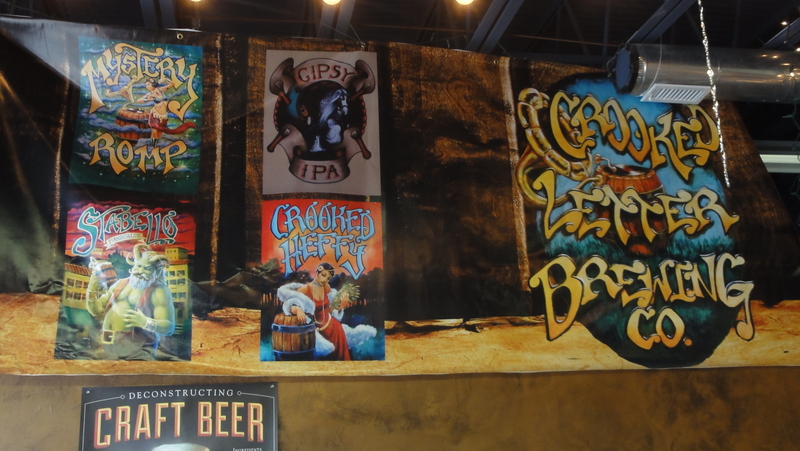 Crooked Letter has teamed up with the MGM’s Beau Rivage Resort and Casino in nearby Biloxi, MS to produce a line of three beers available exclusively at the resort. The nautical knot themed beers are Sheep Shank Kolsch, Double Half Hitch Imperial IPA, and Anchor Bend Imperial Stout. The wide variety between the three beers ensures there is something to fit everyone’s tastes. Prior to Hurricane Katrina, Coast Brewing Company was brewing on site and providing their patrons with local craft beer offerings. After the resort was rebuilt in 2006, they were missing that local connection and contacted Crooked Letter to fill that void last year. This is a pretty big step for a brewery that has just finished one year in business, but the staff knows they are up to the challenge and it provides them with a unique opportunity to introduce their brand to the thousands of out of state visitors coming through the Beau Rivage each year. An immense thank you to Paul, John, and Scott for their overwhelming hospitality during our long visit, despite the large workload preparing for their exciting Beau Rivage release. 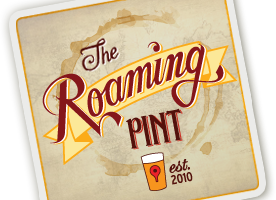 Be sure to visit them at the brewery and enjoy a good laugh over some great beers. Yea! glad you got a chance to visit them. Paul and wanda are great folks!